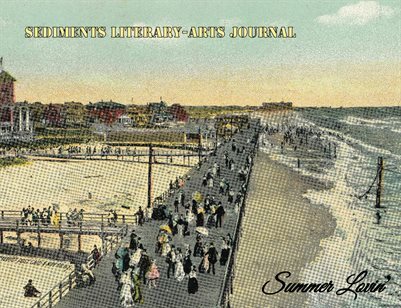 This summer, lie back on your beach towel, dig your feet into the sand, let the sun bronze your skin, and fall in love with Sediments Literary-Arts Journal. A fling with our steamy contributors will leave you breathless, whether it’s making love to the ocean, being serenaded by the push and pull of the waves, reliving teenage lusts in the backseat of a car, or dancing the night away with a rugged yet sensual lover. Are you ready for your summer love affair?